The Norwegian explorer Roald Amundsen is best known as the first man to reach the South Pole. But his initial fame came in 1906, when he and his crew became the first to sail from the Atlantic to the Pacific through the Northwest Passage, a goal that had eluded explorers for centuries. This feat was accomplished in a 70 ft square-sterned 48 ton sloop named Gjøa. Five years later, in 1911, members of the Norwegian Seamens Association organized a sporting club. Inspired by the spirit of that hardy band of explorers, the new club adopted the name of their ship. Initially the Sporting Club only organised whale fishing and the (at that time popular) sport " tug of war" In 1918 they also started youth soccer. A bulging trophy cabinet bears witness to the titles and cups won by this small club with an odd name. In whichever organization it found itself, Gjøa has been a prominent participant. From the Scandinavian-American Athletic League in the early years, to the Cosmopolitan Junior Leagues today, Gjøa members have excelled individually as well. Their names can be found in the lists of National Soccer Hall of Fame members and of Herman Trophy winners. Proud as the club is of the team that "three-peated" as National Soccer League champions in the early sixties, the 1931 tour of Norway holds a special place in club history. In 60 days, and playing against most of Norways best teams, the boys from Brooklyn won 16 games, drew 7, and lost only 6. An echo of that 1931 trip has been heard numerous times as Gjøa youth teams have traveled to Norway, Minnesota and many tournaments throughout the Northeast. As important as the results of the games was the fostering of friendship through sport, and the lesson that soccer is indeed the game around the world. Soccers future depends on solid youth programs. At Gjøa the volunteer staff not only supports both the boys and girls youth teams from U-8 through U-19, but also organizes and runs a soccer and softball team for adults. The future at Gjøa of what Pele called "The beautiful game" is very bright! We anticipate a long and successful future on and off the field. April 21st 2018 is a big day for Gjøa Youth Soccer as we will have existed for exactly 100 years. 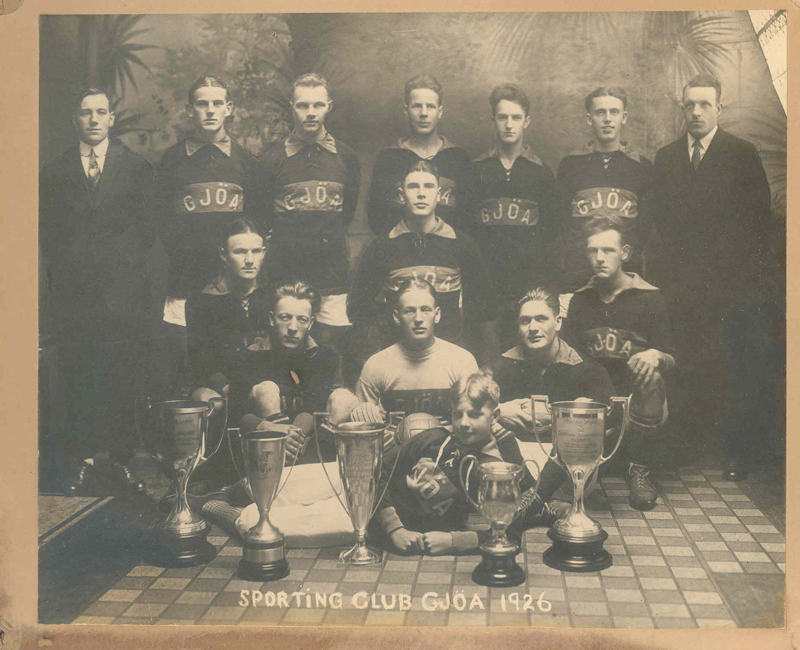 Although Sporting Club Gjøa had been operational since 1911 soccer started 7 years later. We will celebrate our history as the oldest soccer club in New York City with many exciting events.